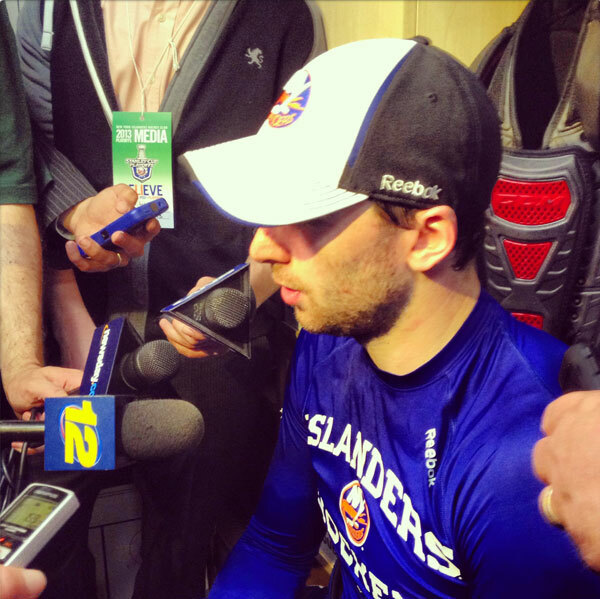 By now you know John Tavares is the Most Valuable Player on the Islanders. He has been a major catalyst for the team in the middle of a playoff run against the Penguins in the Eastern Conference Quarterfinals. On Friday it was officially announced that he is a finalist for the Hart Trophy as the NHL’s MVP as well. This season Tavares, 22, led the Islanders in scoring for the fourth straight year. He scored 28 goals and added 19 assists for 47 points in a shortened year due to the work stoppage. Tavares was the first overall pick in the 2009 NHL Draft and has recorded 249 points in 291 regular-season games. In their long and prosperous history, the Islanders have only had one Hart Trophy Winner. Bryan Trottier won the honor in 1978-1979, the season before the Islanders went on to win four straight Stanley Cups. The other finalists are Pittsburgh’s Sidney Crosby and Washington’s Alex Ovechkin.